The two constants in my life have always been my struggle with faith, and comic books. 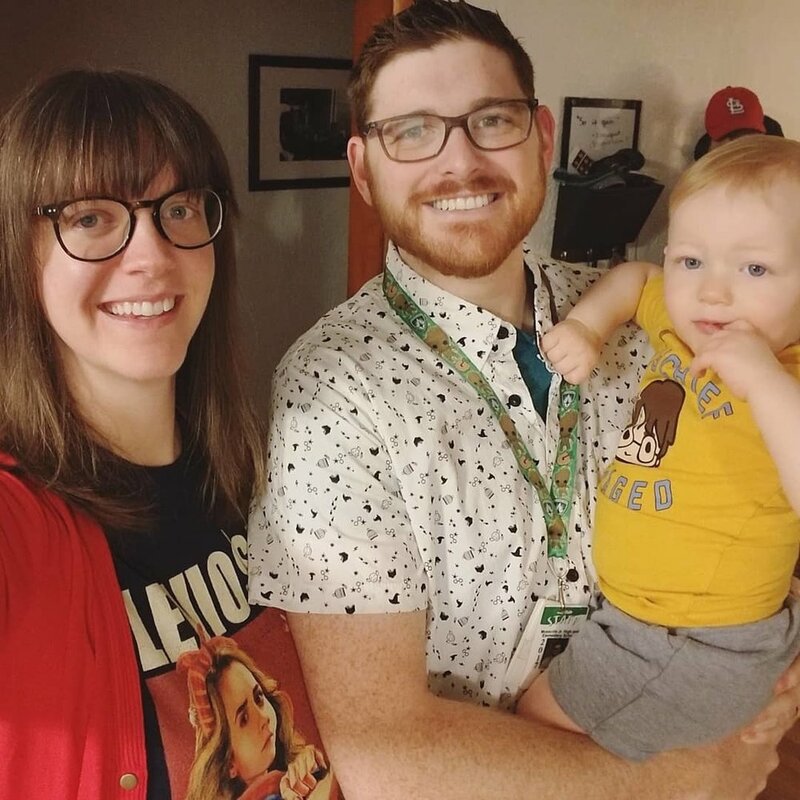 I am very new to Imago Dei, but it will probably comes as no shock to anyone who goes there on a regular basis, that I found Imago through Bryan and Laura Holmes. Like them, I often find wisdom in works of fiction, my favorite being that of a “graphic” nature. Puns aside, I have always gained a sense of morality through the lense of the astonishing. I also grew up in the Catholic Church, which comes with its own lense of penance and guilt, so naturally my favorite characters are those who struggle and lose faith. My favorite superhero is Daredevil, the only red headed Catholic in all of comics. It doesn’t take a genius to figure out why that would have appealed to me at a young age, but he remained my favorite because he constantly gets put through the ringer and still finds a way to get back up. I know many of you who are reading this are probably thinking, “Why is he talking about a fictional character for kids that dresses as the devil? Isn’t this supposed to be about church and faith?” You are right, and I could probably write an entire novel on the reasons I personally identify with a fictional blind man, but the connection for me is the constant feelings of doubt Matt Murdock, Daredevil’s secret identity, goes through. To me it is reminiscent of Peter. Peter was/is my favorite character from the bible. He struggles with doubt and fear constantly. Even after he has seen miracles first hand by Jesus, he gives into fear, and yet Jesus sees in him the potential to be a rock. Going back to my Catholic upbringing, Peter is revered as the first Pope of the Catholic church. The first fully mortal man to lead that which Jesus left behind. Despite his many fears, and his constant trials (of which he fails more than a few), he comes out in the end as a leader. No longer a mere fisherman, but a fisher of men. Like Peter, and Murdock (I would say Matthew, but that might get confusing), I have struggled in my past with my faith. I clung to the Catholic Church out of fear that if I didn’t believe the entire doctrine of the church, then I would be just as lost and alone as those destined to be cast into outer darkness where there is wailing and gnashing of teeth. I found, however, try as I might, I had serious doubts and confusion over specific decisions made by the Catholic church. I found myself for many years adrift in a sea of doubts about everything connected with my faith and feared I would never return from them, destined to only hang on to the thought of God out of my own selfish sense of preservation. This is where I found myself when I fell in love with my wife, Meg, and where I still found myself nearly ten years later when our son, Martin, was born. Growing up I was always told that it was the father’s duty to be the spiritual leader of his family, but what do you do when there is no spirit left in the leader? I started looking for examples of people who in my eyes were successful people, and since the Holmes’ were both teachers and parents, I not so subtlety sought what may have contributed to that success. A quick glance at their Facebook pages will tell you that they are kind, compassionate people who love their daughters and their church. Now, I had seen many examples of non denominational churches, but they all carried pieces that for one reason or another didn't jive with me. To say I was doubtful is a bit of an understatement, but I had, and still do have, great respect for my colleagues. Shortly before Winter Break I attended my first Imago church service, and in the service we were asked to listen and meditate on anything that resonated with us. It was the story of Mary being visited by the angel Gabriel. One of the first things he says to her was, “Do not be afraid.” It was in this moment that I realized that much of my doubts and lack of faith were all steeped in fear. Fear that I was a bad person for having doubts in the first place. Fear that I would never find a foothold in faith ever again. Fear that God would only ever see me as a sinner. Fear that my son would not know any kind of Faith. Fear that not having any faith was okay. Fear that my parents would never understand my hesitations. Fear of disappointment and personal failure. Fear that my wife could never understand what I was going through. Fear my son would grow to think of me as a fool. Wow, I just typed the word “Fear” a lot. Hopefully though that helps you understand where I was at that moment. The door was opened and for the first time in a long time, and I was not afraid. In the days since, I have done my best to let go of fear. Like Paul, it will not be easy, and like Murdock, I will constantly be picking myself back up. Thankfully for me, Imago is there with open minds and hearts to help me find my true potential. Jay Rudd is a father, husband, dog owner, cat roommate, and art/technology teacher (K-8) for the IVC School District. He is very new to Imago, but is eager to get involved and help out when he can. He loves his family, drawing, painting, all kinds of music (except country), video games, and of course, comic books. Feel free to talk to him about anything and everything (except country music).